The Data Extractor UDMA is a specialized software product functioning in tandem with the PC-3000 UDMA hardware-software product. It is intended for recovering data from SATA (Serial ATA) and PATA (IDE) HDD 3.5", 2.5", 1.8", 1.0", USB HDD, SSHD (Solid State Hybrid Drive) etc. Together with the PC-3000 UDMA it forms a comprehensive professional solution for your data recovery business. 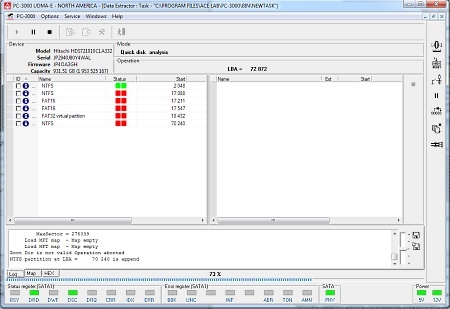 Data Extractor UDMA is capable of working with 2 HDD drives simultaneously. Drives can be connected to PC-3000 UDMA ports (1xSATA, 1xSATA/PATA), motherboard ports (xSATA, xUSB etc) or represented as HDD images. PC-3000 UDMA allows you to repair physically damaged HDD drives in technological mode. 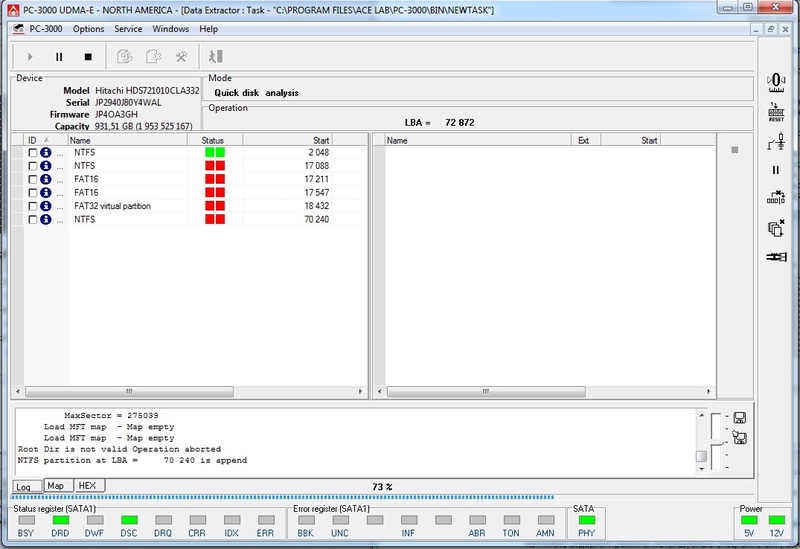 SATA drives use UDMA133 reading mode while PATA drives use UDMA100 reading mode. 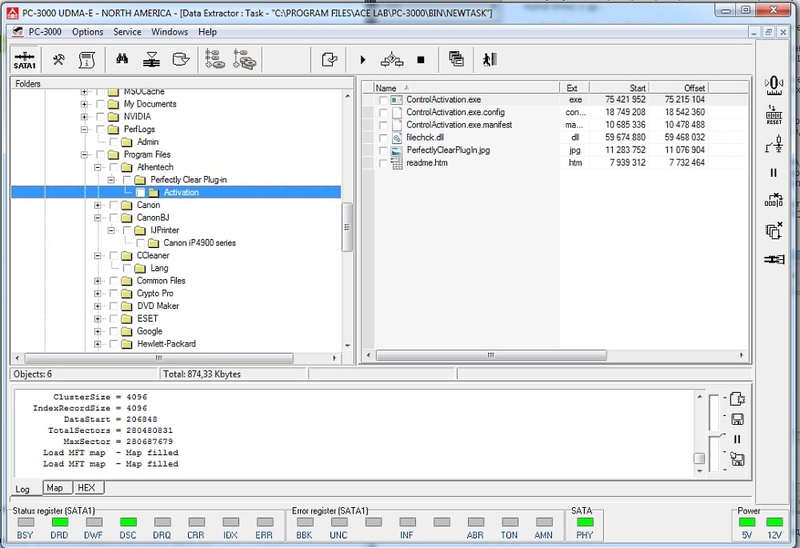 Using the Data Extractor UDMA you can create full (sector-by-sector) or partial data copies from the damaged drive to a good one connected to the port of the PC-3000 UDMA board, motherboard or in image-files. There are three types of HDD malfunction: physically damaged HDD, logically damaged HDD and HDDs with a combination of physical and logical damage. 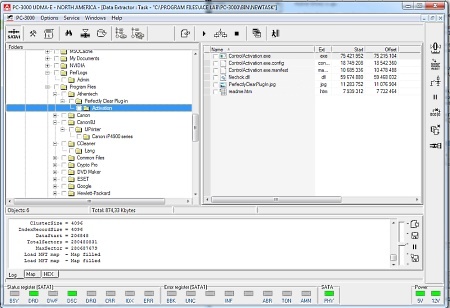 You may use the wide possibilities of the Data Extractor UDMA product to handle various types of data recovery cases, including those that are connected with both physical and logical damage. It is very important to read the maximum data volume in the shortest period of time as a damaged HDD can stop functioning at any time. 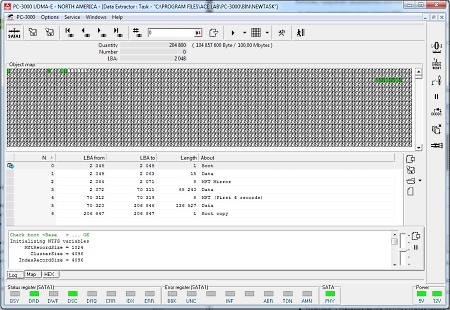 Data Extractor UDMA has integrated functionality for logical analysis of file systems which allows reading only necessary data. This technology greatly reduces the volume of read data, the duty cycle of damaged HDDs and the time required for data recovery. "Create virtual translator" option enables recovery of data from an HDD with a corrupted dynamic translator. File system meta data and user data are used in this mode.